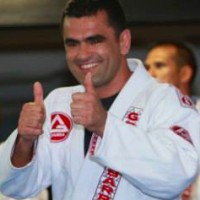 Master Carlos Gracie Jr. credits Grandmaster Helio Gracie as one of his main influences learning jiu-jitsu. 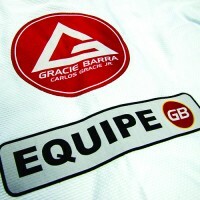 Hello Gracie had a philosophy of defense first. Hello would say that he fought not to lose and if his opponent could not submit hit, he won. 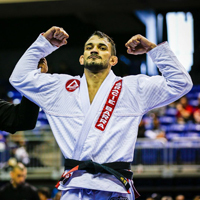 We love to watch submission hilight videos, but the truth is it is our defense and ability to escape that makes the biggest difference in our jiu-jitsu. 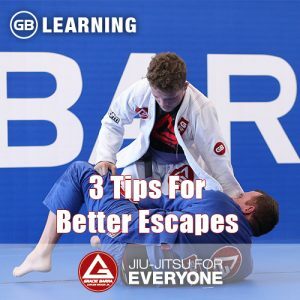 Here are 3 tips for better escapes. 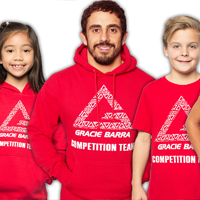 You are going to have to learn what submissions your opponent may threaten with from any specific position. You may then position your arms and legs safely where the limbs may not easily be attacked. Beginning students panic in bottom positions because they don’t understand WHERE the submissions might be coming from. They are trying to protect against ALL submissions (even subs that the opponent does not have available) and consequently they tense up and fatigue really quickly. When you know what to expect, you can be more efficient in protecting the main threats and not worry needlessly. This concept takes a little longer to understand in jiu-jitsu. When your opponent secures a tight control on top it can be very difficult to escape. If the opponent has gets the grips that they want, settles their weight on top and removes the space…you are in.a tough spot! 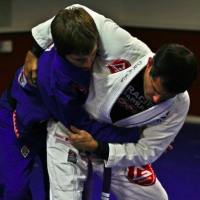 Here is the secret : When your opponent moves to attack with a submission, they must shift their body weight for a brief time to move to the attack. 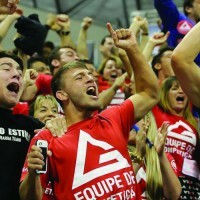 This short time when the opponent releases their grips and lighten the pressure..NOW is the time for your escape! At the correct moment you bridge and hip escape (the 2 most important escape movements) and perform your technical escape with the correct timing. 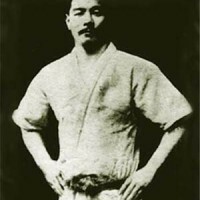 There are multiple variations of side control alone and a single escape technique will not work in all situations. Trying the wrong technique in the wrong situation can just lead to frustration. When you get stuck in.a bottom position in rolling, you need to ask your instructor after rolling. Show where you got stuck and ask what you should have done in that specific situation. Your instructor can provide you with the best option for you to solve your problem. Now it is up to you to drill it to get the mechanics correct. * You need to drill BOTH sides of escapes because you can not choose which side to escape side control (like you can choose which side to pass the guard). Next PostNext Learning From Tapping? Yes!